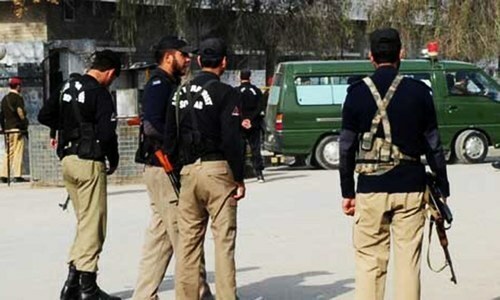 A former police official was gunned down on Quetta’s Masjid Road on Sunday, police told DawnNews. Ex-station house officer of the Airport Road police station, Fazalur Rehman Kakar, was gunned down by unidentified assailants, who escaped the scene of the shooting. The body of Kakar, who died on the spot, was shifted to Civil Hospital Quetta for a post-mortem examination. Police and other law enforcement agencies reached the site of the attack and began an investigation into the incident. A senior police official who spoke to DawnNews on condition of anonymity said it was unclear whether the shooting was a targeted attack. At least seven attacks on security personnel have occurred in Balochistan in 2018 so far, four of which were carried out in Quetta, two in Chaman, and one in Kech. Kakar was among those sacked for negligence in the May 2011 Kharotabad incident in which five foreigners, three of them women, were killed by security personnel in Quetta over suspicions they were Chechen terrorists trying to attack a checkpoint near the airport. Several high-profile inquiries were conducted into the incident to ascertain the role of the Frontier Corps and police in the Kharotabad incident. Following a judicial inquiry by Justice Hashim Khan Kakar, Quetta capital city police officer Daud Junejo, FC Colonel Faisal Shehzad, SHO Kakar and Assistant Sub-Inspector Raza Khan were found responsible. In August 2013, unidentified gunmen shot and killed ASI Raza while he was standing outside his house in Quetta. Police surgeon Dr Syed Baqir Shah who had conducted the post-mortem on the bodies of the five foreigners was gunned down in Dec 2011 after facing death threats.